Highly affordable booklet printing with our Self Cover A4 Booklets. Printing on the same paper weight as the inner pages saves additional print set up and so we can bring you even cheaper booklet printing. Choose for silk or gloss paper options and paper weights of 130gsm and 170gsm. All of which are stunning when printed. 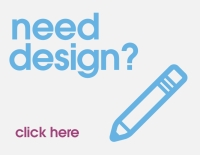 If you need advice on your booklet printing or indeed if you require design, please get in touch withus via the Contact form. We have a team of highly professional customer service advisors who would only be too happy to help you with your order. A4 Booklets Self Cover booklets are the perfect trade off on price versus quality. Printed on your choice of 130gsm or 170gsm and the cover being printed on the same paper stock allows us to make production savings and so we can pass on this reduction to you. Pick from your choice of silk or gloss paper stocks, both of which have their own merits. So when discussing printed options, if you are unsure as to your own requirements, please get in touch with us as we'd only be too happy to give you our recommendations.